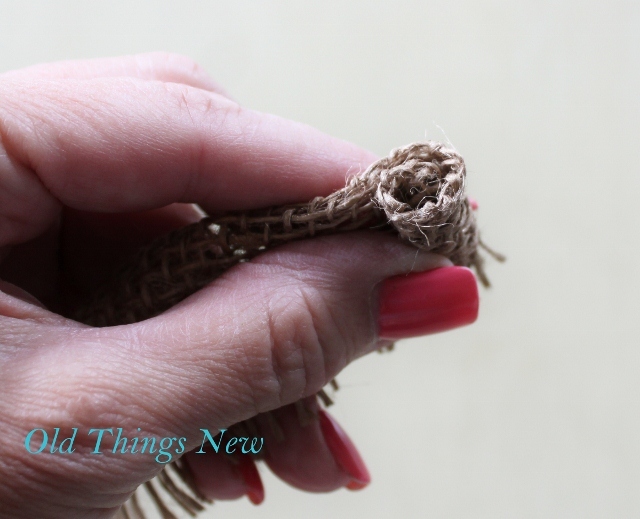 It has been a very long time since I’ve written a post on my blog. This is our busiest time of year as we start another nine months of Freedom Session. We kicked off with our big Intro Night last Sunday and the work begins in earnest this upcoming Sunday with Session 01! After somewhat stressful week last week, I decided to take some down time just to have fun! 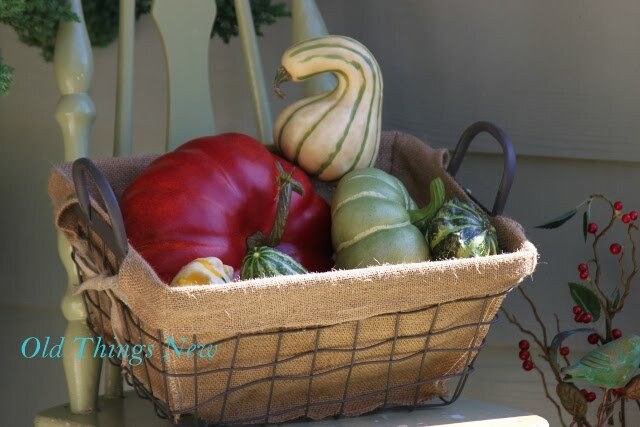 A day of rest for me is usually doing something that gets my creative juices flowing. 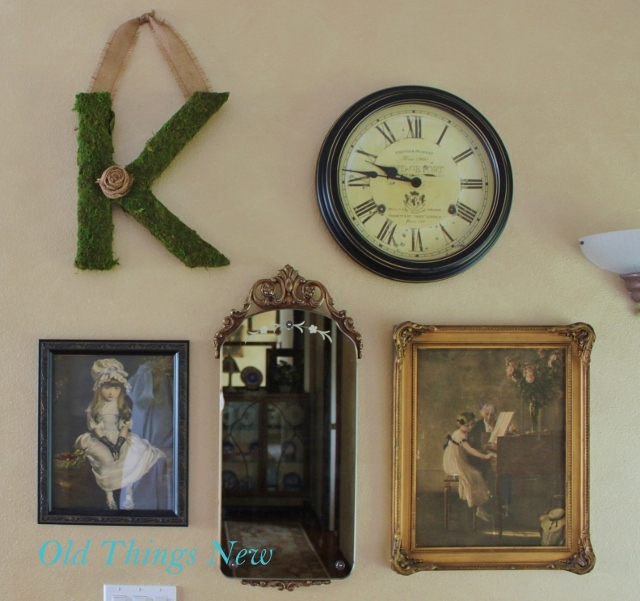 That can be hitting garage sales in search of that perfect piece of furniture to restore, surfing through my favorite blogs for DIY decorating ideas for my home, or moving things around my house to reflect a new Season. 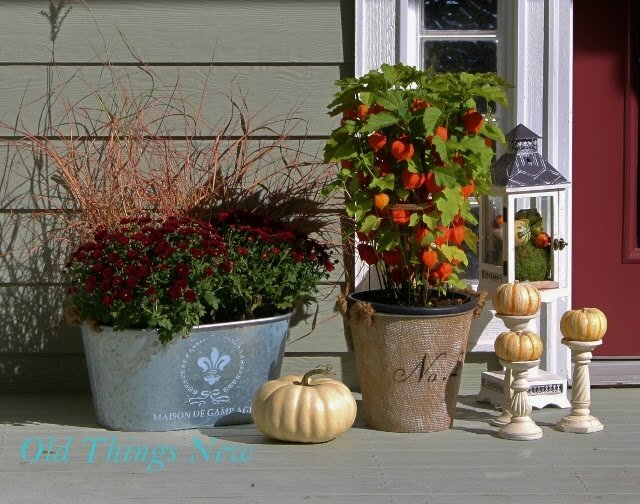 This week I decided to decorate my front porch for Fall. 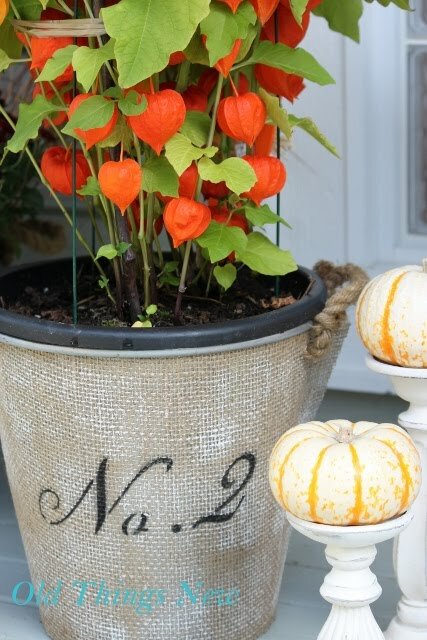 I’m not real fond of scarecrows, spider webs and witches, so my decorations are a bit tame. 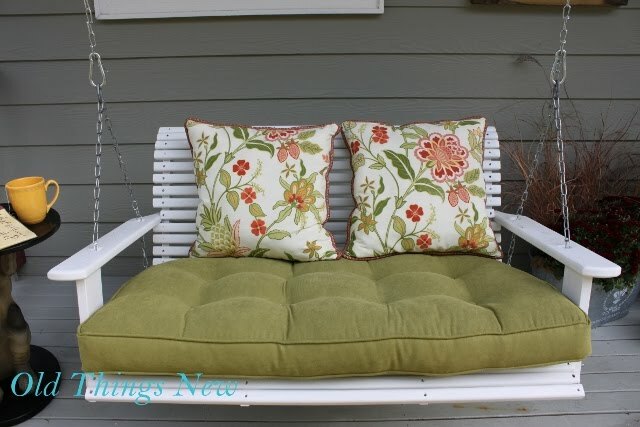 My husband hung a new swing on my front porch this summer and I sewed some pillows that have colors that work Spring-Fall. So, this is the big picture, the entire length of our front porch with all of the decorations I’ve added to make it feel Autumny! Keep reading and I’ll show you some close up details. This old window has been hanging around my yard for quite awhile now. I finally found the perfect place to hang it. 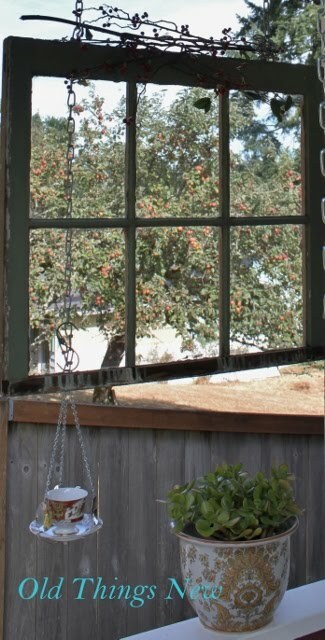 Notice how it frames the apples ripening on my neighbor’s tree. You can smell their sweetness and I’m so tempted to run over there and pick a few. 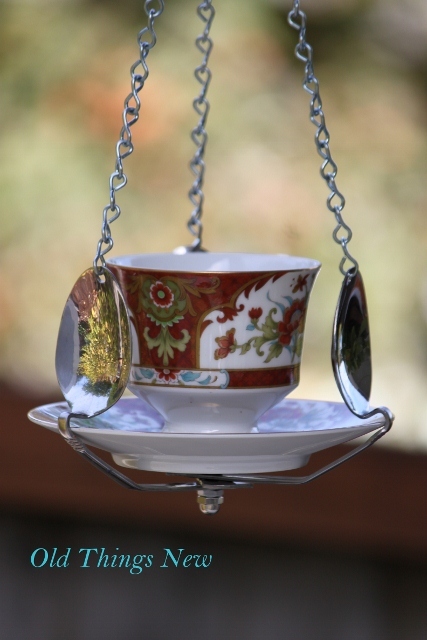 Also hanging here is a sweet little bird feeder made from a china cup and saucer and some teaspoons. 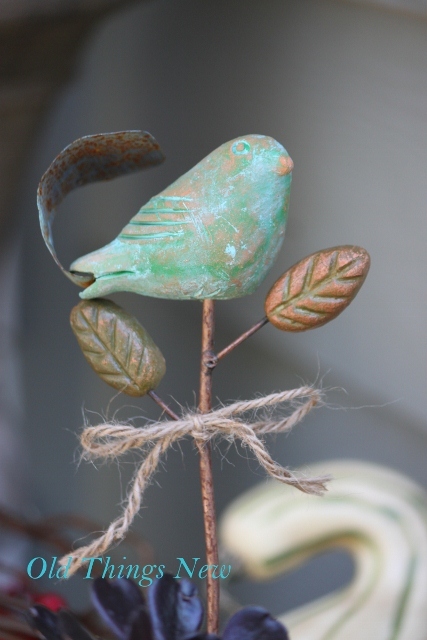 One of my husband’s students gave it to him, knowing that he loves feeding the birds in our yard. 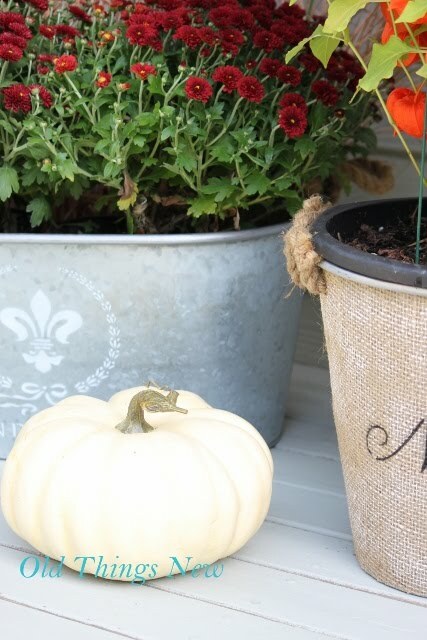 I filled a galvanized metal tub and a burlap wrapped bucket with some deep burgandy colored Mums and a Jack-O-Lantern plant. 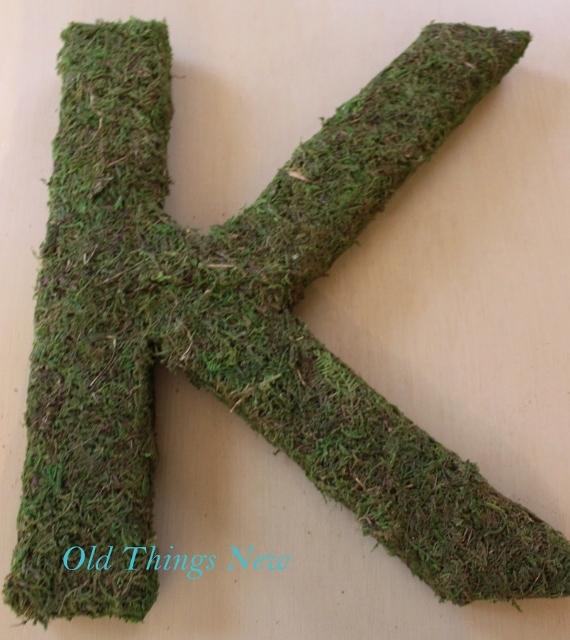 The grasses were cut from my yard. Hard to see in this picture but both containers have rope handles. Very cute. 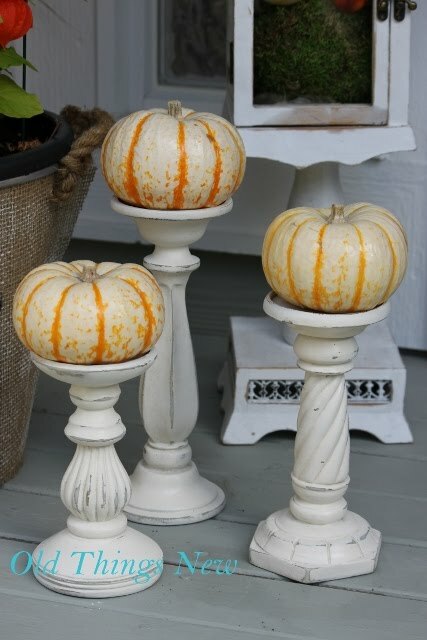 I found the candlesticks at a garage sale, spray painted them and distressed them and added some mini pumpkins on top. 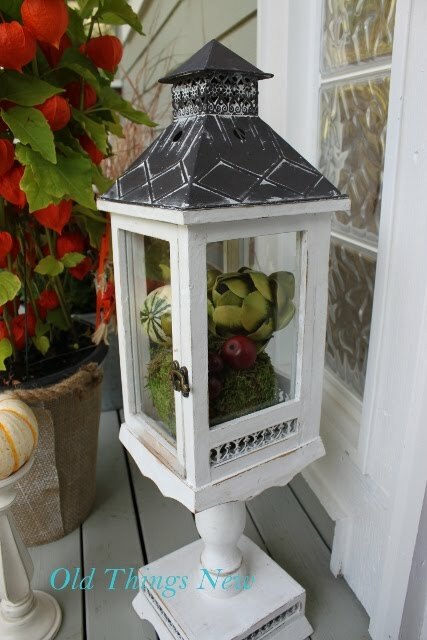 I filled a lantern I already had with a bit of Fall Harvest. 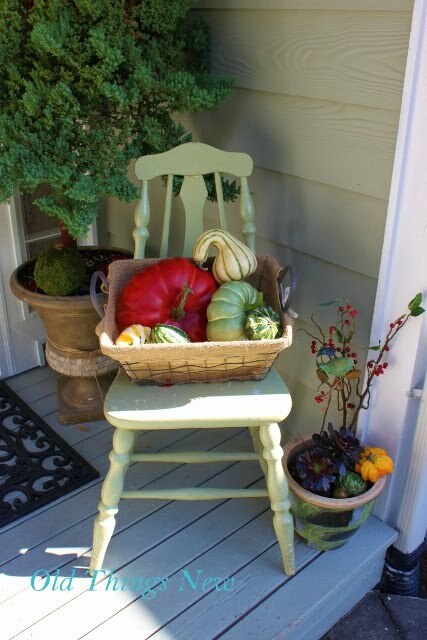 And on over to the other side of the door, a little chair I found at our church garage sale, some plants I already had in my yard, and a basket of gourds and pumpkins. 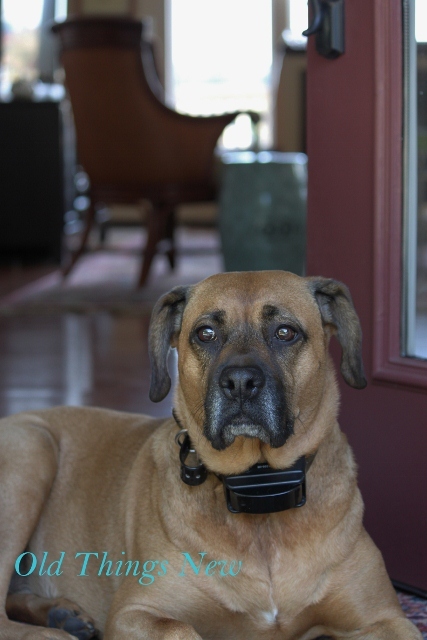 And finally, the keeper of the front door. 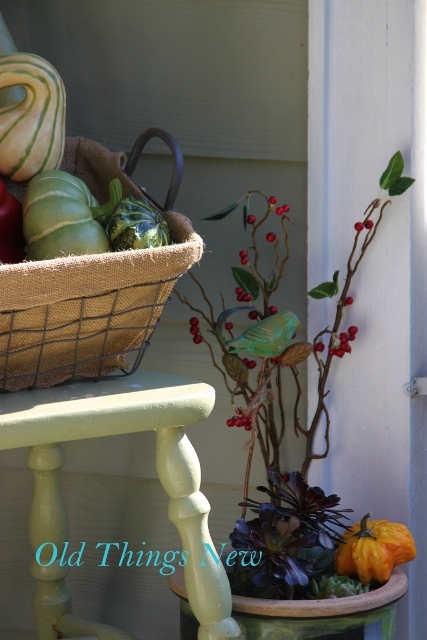 I hope you enjoyed a peek at my front porch. 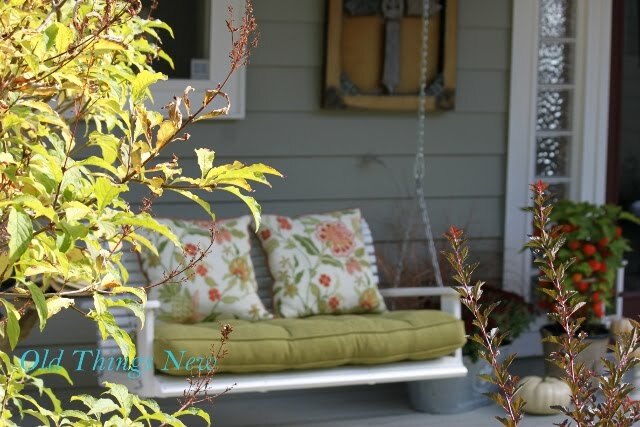 It’s time to grab a cup of tea and soak up the last bit of warm weather. 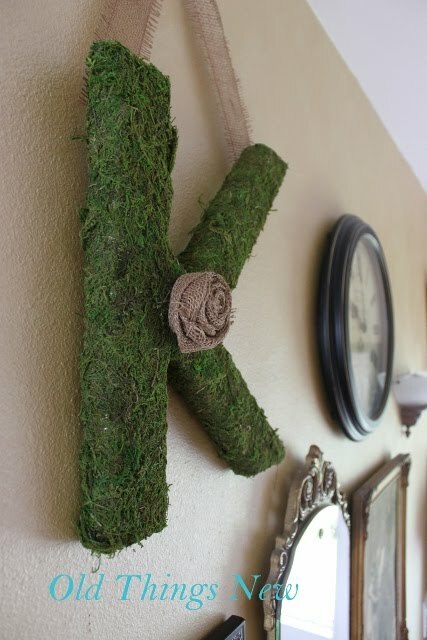 I really enjoy the use of monograms in decorating right now, and I especially like Pottery Barn’s live moss monograms. But . 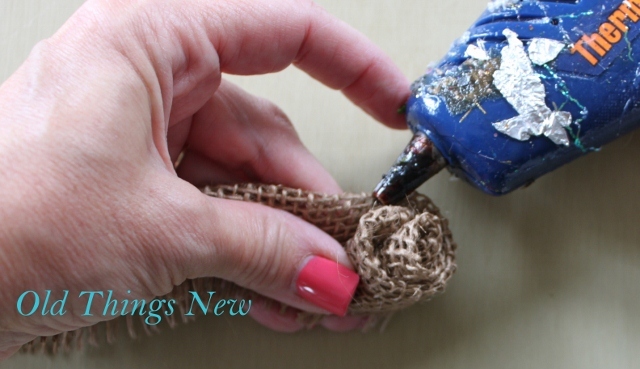 . . at $79, I decided to make my own from things I already had on hand. 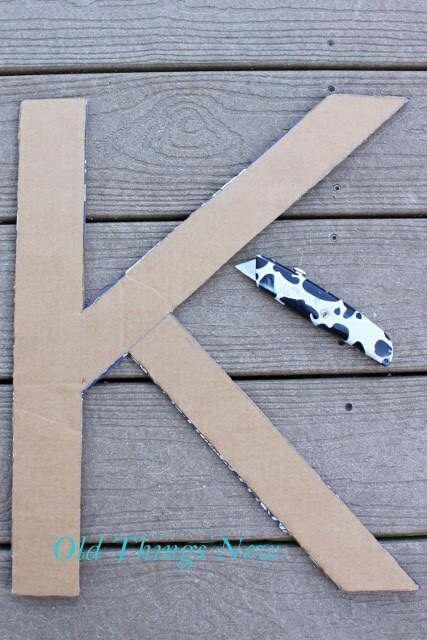 I began by using my utility knife to cut the letter “K” out of a piece of cardboard. 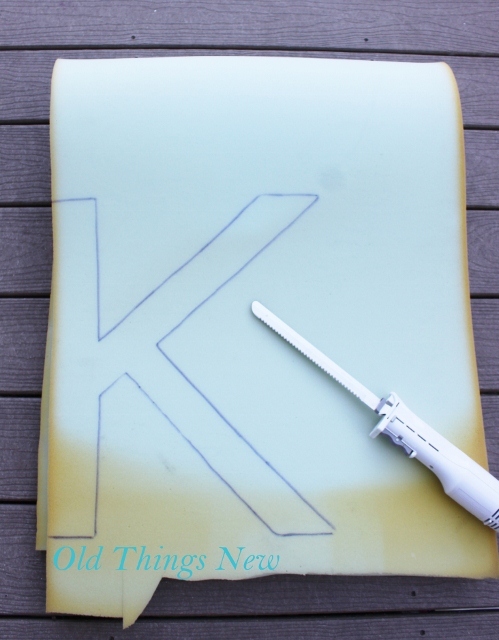 Next, I traced the letter onto some leftover foam from a chair padding project, and used my electric carving knife to cut the foam. Just like cutting through soft butter! 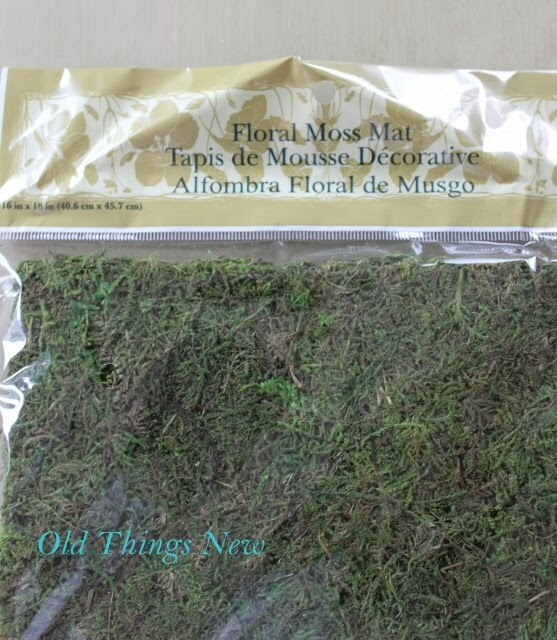 Now for the moss. I had some leftover in my craft cupboard. The package looks like this. 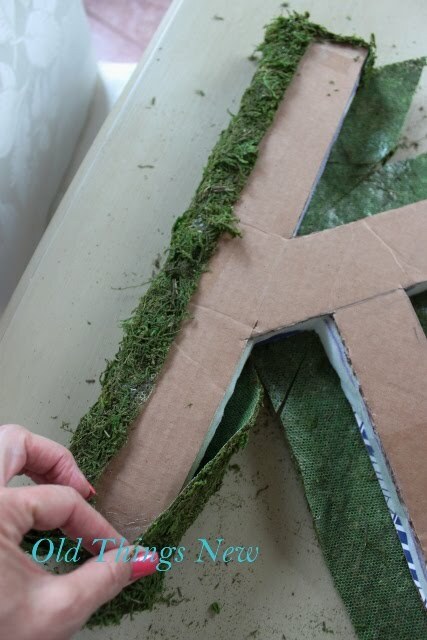 I cut the shape of the letter out of the moss, and began wrapping my foam, glueing as I went with my handy OLD glue gun. 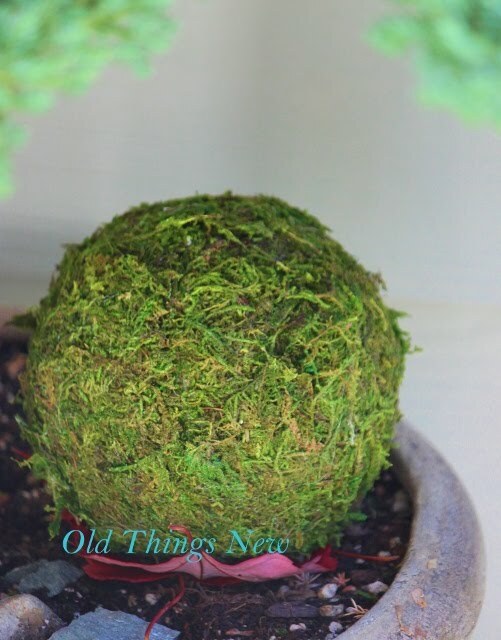 When the front was done I turned it over and glued a strip of moss on the back. 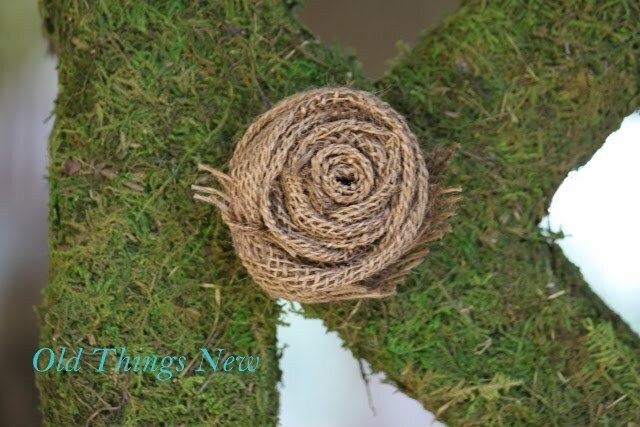 Now to add the finishing touches, a burlap ribbon for hanging and a burlap flower. 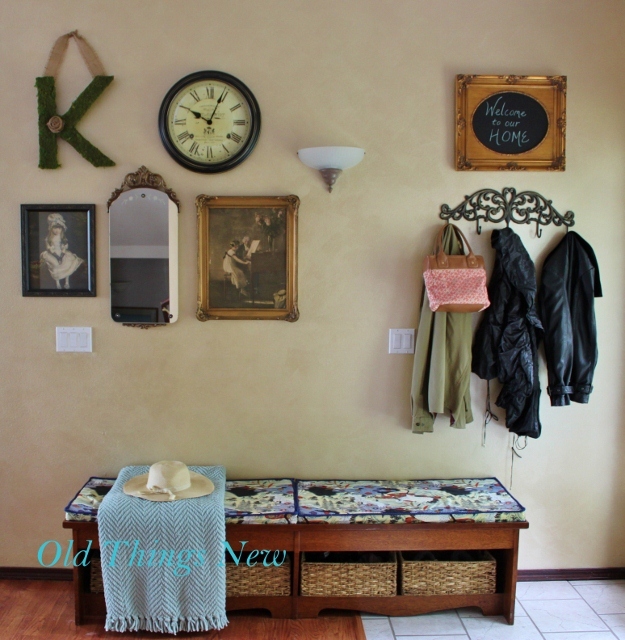 Here it is, hanging in my entryway. Okay . 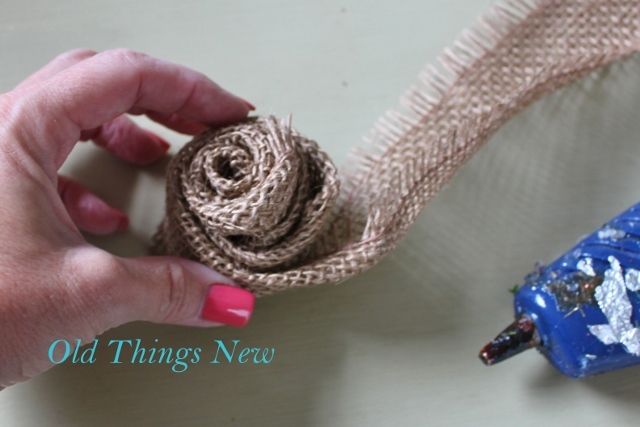 . . so here is a quick tutorial on making rosettes out of scrap fabric. 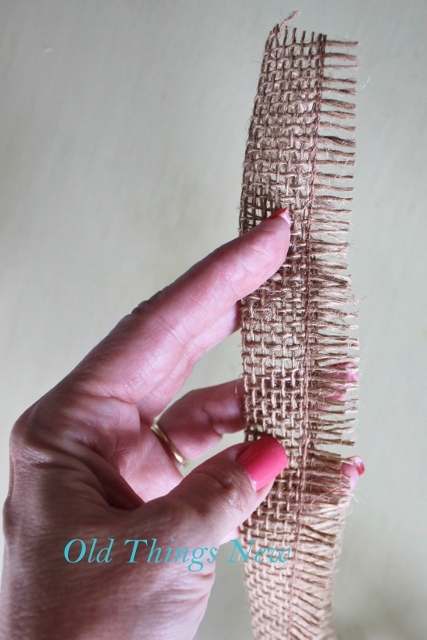 I began with a length of burlap ribbon, which I folded in half lengthwise. 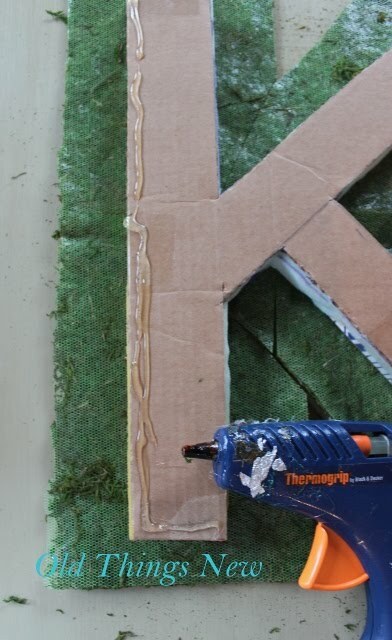 Next I began rolling the bud from the middle, glueing with my glue gun as I went along. 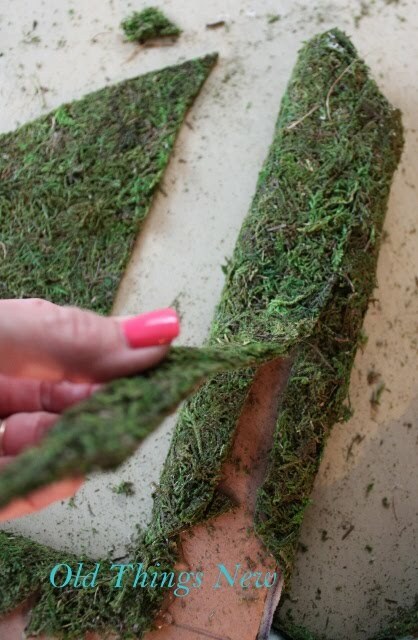 I continued rolling, twisting my ribbon and glueing to the end. 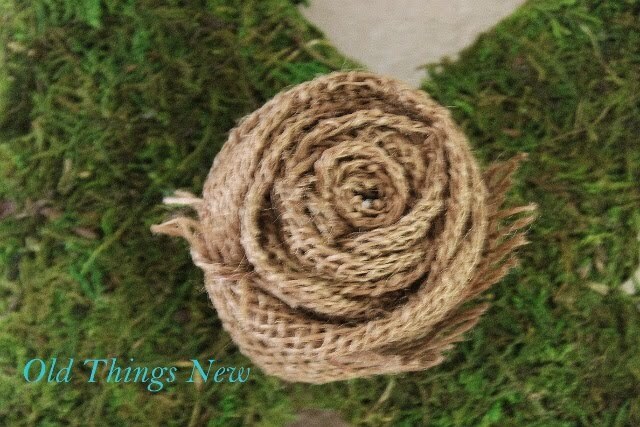 Then I finished it off by wrapping the end of the burlap underneath the flower and glueing it in place. 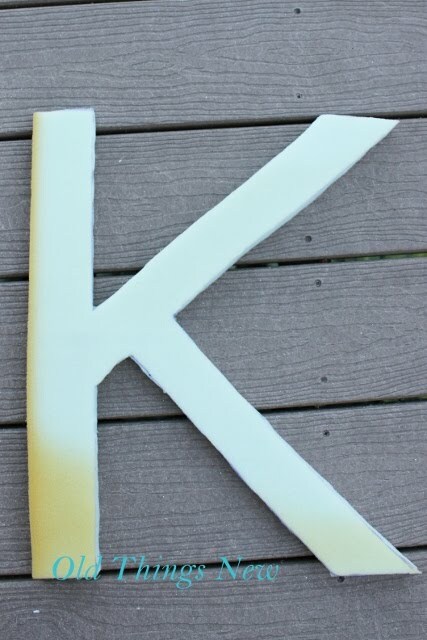 I wasn’t concerned about raw edges showing as that was the look I was going for. Here is a TIP for you: The more flowers I’ve made the more I’ve realized that the quicker you make one, the better it turns out! 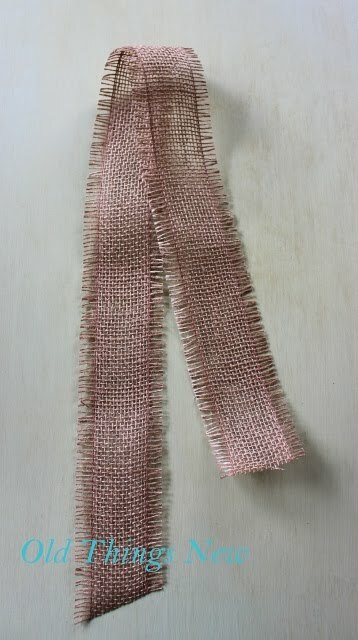 At the beginning, when I was trying to get these things to look perfect, they turned out looking really bad! 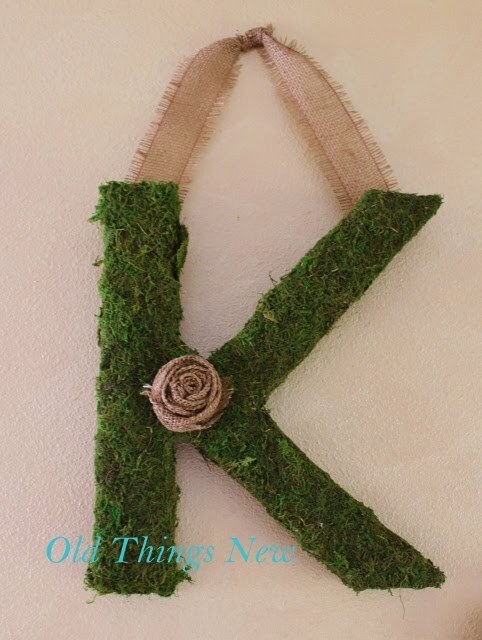 My husband thinks this crafy project is a bit funny and that my letter looks like it is growing grass! 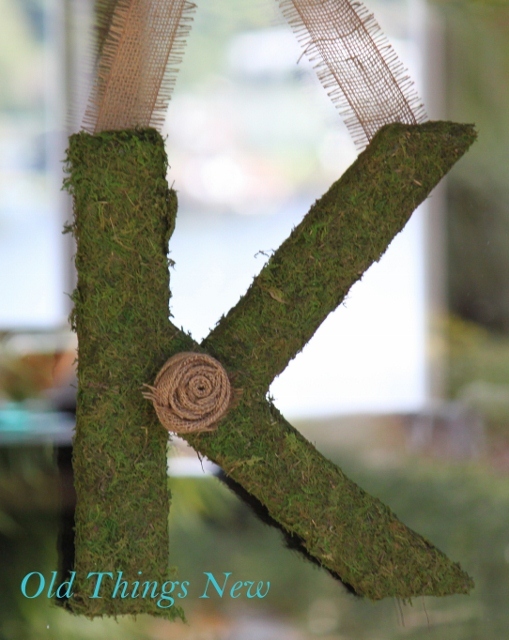 I rather like my mossy “K”.